Inexpensive radon monitors have been around for a few years. I must say that I was not impressed with the 1st attempts to provide an affordable electronic radon tester for the public. 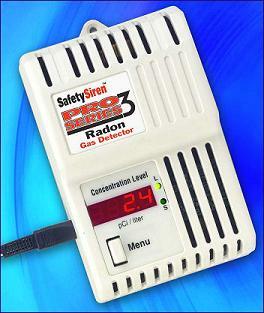 But the Safety Siren Pro Series 3 radon monitor is a quality product. I have mitigated a number of houses where these devices were being used by my customers. When I perform a radon mitigation a follow up test is performed to verify the results of the radon fan system. I provide a Air Chek short-term 3-7 day charcoal test kit and the results have been been right in line with the digital readout on their Safety Siren radon detector. So for those of you who like science experiments, this little tester is kind of fun to watch, since radon levels will vary greatly, even over the course of a day. But this will only give you a readout every seven days and will keep track of long term averages from the time it is first plugged in. If you are looking for a continuous read out you'll pay close to $1000 USD or much more. And hey when you are done with your house you can try it out at your family and friends homes too!! 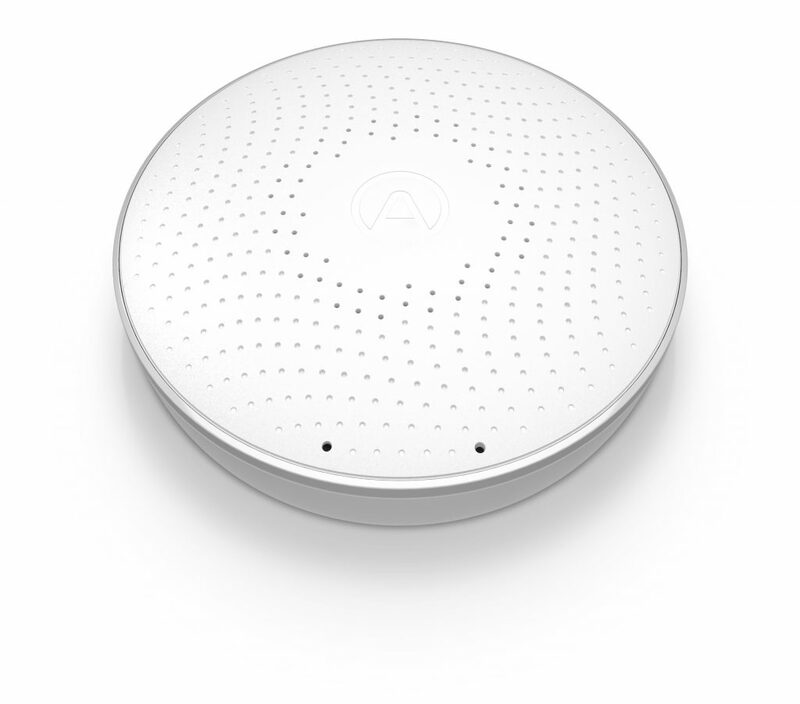 Airthings Wave is an easy to set up digital radon detector. The Wave provides you with detailed information not only about the radon levels in your home, but also the current temperature and humidity levels. Radon levels can be checked with or without a smart phone or tablet. The detector automatically calibrates to its environment, improving accuracy. Use the free app to see radon levels and compare daily, weekly, monthly and yearly radon measurements. The app updates constantly when in range of the unit and notifies you when radon levels are high or when the battery levels are low. You can wave your hand in front of the detector and get a current reading with easy to understand color codes: green (good), yellow (warning), red (danger). An audible alarm also alerts you to high radon levels. The Wave is easy to install on the ceiling or a wall requiring only one screw. 2 AA batteries (included) will give you about 1.5 years of peace of mind. 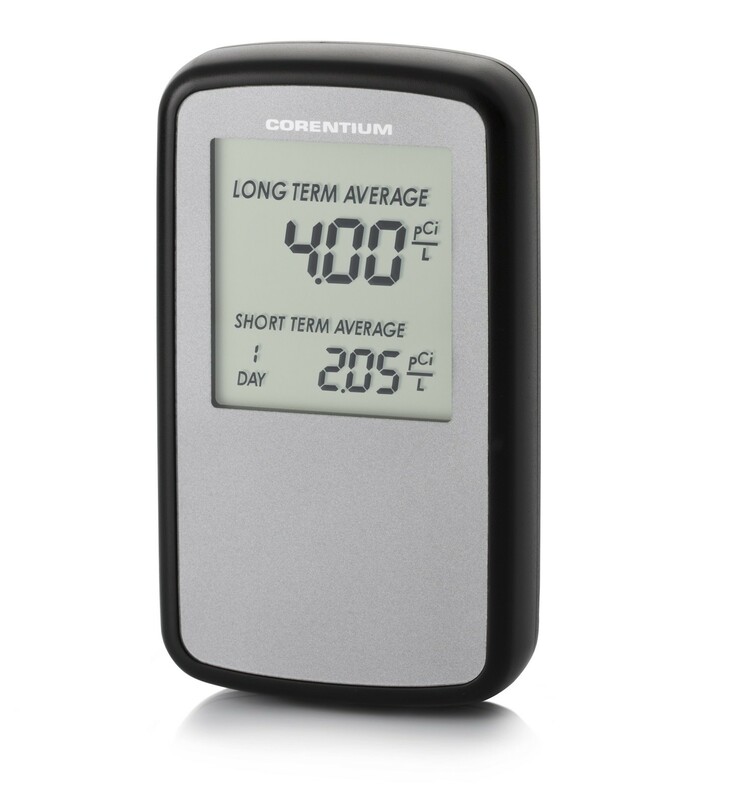 The Corentium monitor allows you to take a reading of the radon levels and its LCD screen displays the average daily, weekly and long term concentrations. 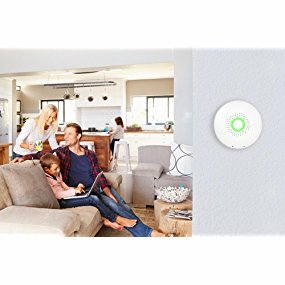 Powered by 3 standard AAA batteries, the monitor makes it easy to take measurements from one room to another in order to get an overview of the concentrations of radon in a home, workplace, school, a daycare center or any other location. The Corentium monitor is also an essential tool to use when performing property inspections or when checking the operation of a radon mitigation system. The internal architecture of the Corentium monitor comes from advanced technology normally reserved for commercial-type detectors. Particular attention has been paid to the quality and protection of the internal components, allowing the use of algorithms for signal analysis that are more sophisticated. The Corentium monitor quickly adapts to its environment and eliminates inaccuracies related to external factors, allowing it to obtain the best accuracy in its niche.